Traditional traffic analysis methods, such as those contained in the Highway Capacity Manual, are relatively accurate for undersaturated traffic conditions on simple roadway configurations. However, these methods are often inadequate when analyzing the interdependent complex components that are common in many of today’s transportation systems. 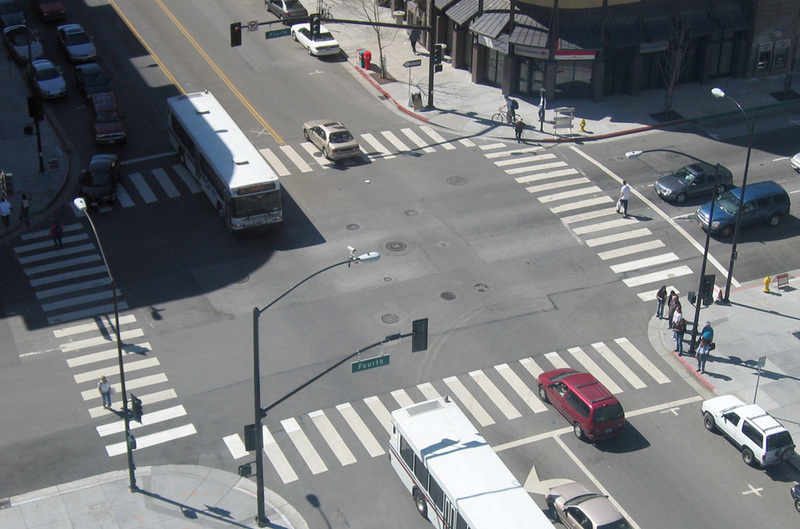 For example, when analyzed in isolation, an intersection may appear to operate acceptably, when in reality the intersection may be subject to severe congestion due to queues that spill back from an adjacent intersection or freeway ramp meter. Many other causes of congestion, such as weaving on arterial streets or an overflowing turn pocket, are also overlooked by traditional methods of analysis. For these reasons, detailed traffic operations analyses and traffic simulation studies are frequently necessary. How would the addition of a new signalized intersection located near an existing signal affect the traffic progression along a major arterial street? Will light rail transit signal preemption cause queues to overflow turn pockets and block adjacent through traffic? How would the addition of freeway ramp metering affect travel speeds on the freeway mainline or local street operations? Would a roundabout be a viable alternative to a signal or stop controlled intersection? These questions can be addressed by applying the latest state-of-the-art micro-simulation software including SYNCHRO/SIMTRAFFIC, TSIS-CORSIM, and VISSIM.